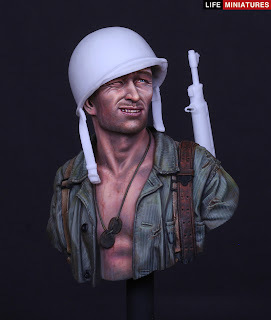 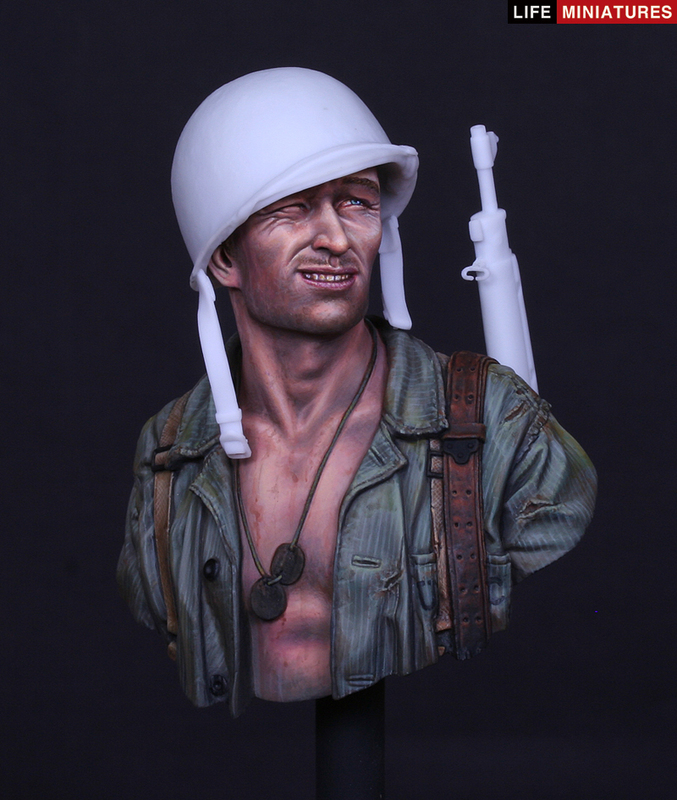 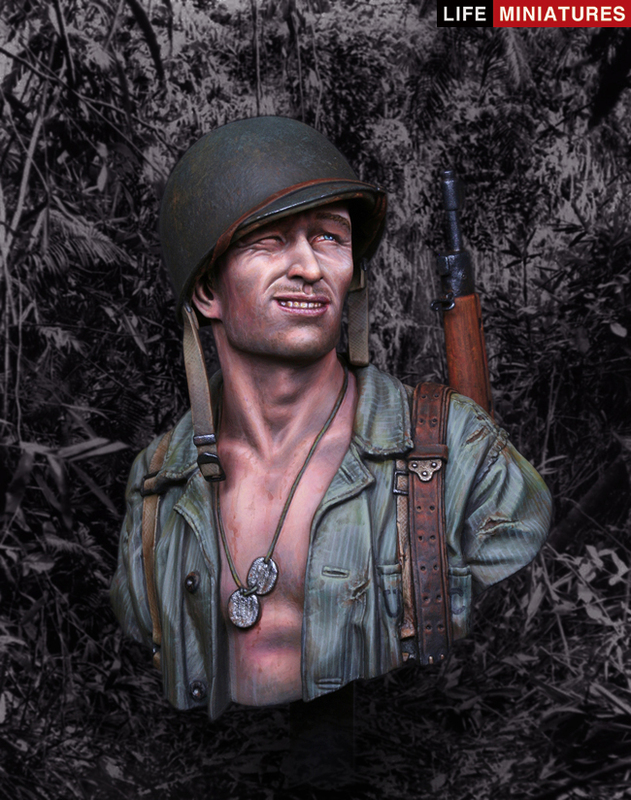 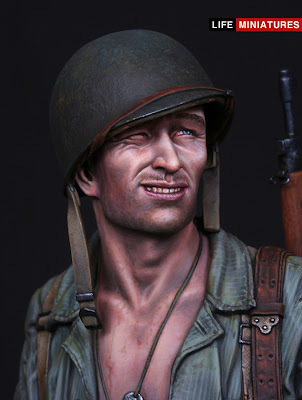 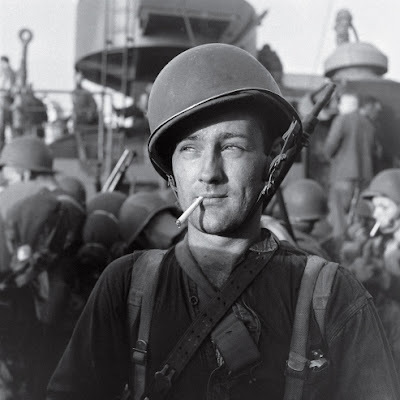 Following in the footsteps of some very highly acclaimed busts of contrasting eras and locations this but goes to the Pacific Islands of Guadalcanal for it’s inspiration – 1942 and the marines are fighting hard against the “japs” for every scrap of island they can get – this bedraggled Marine looks up into the distance and squints at the tropical sunshine.. 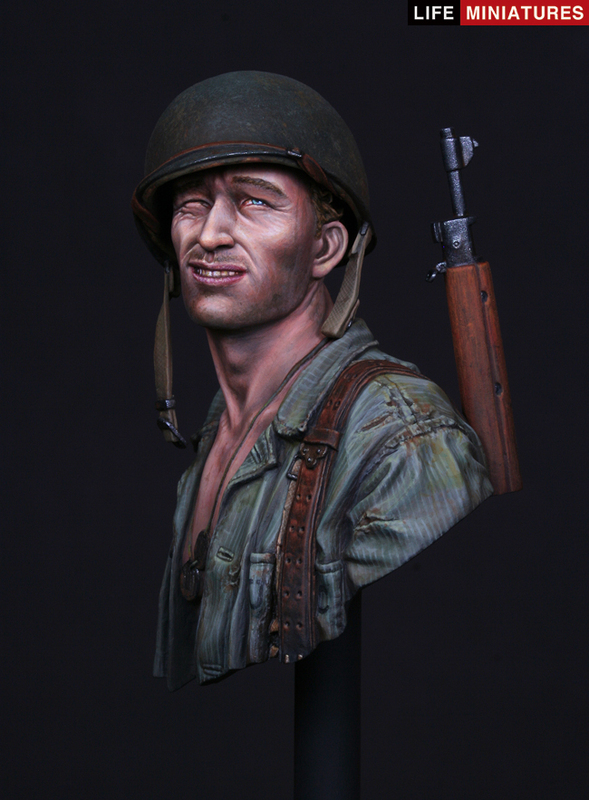 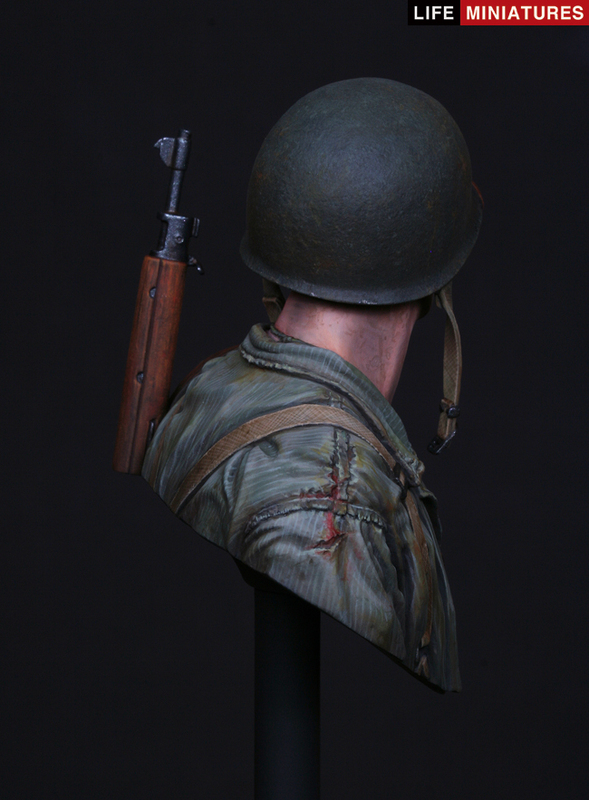 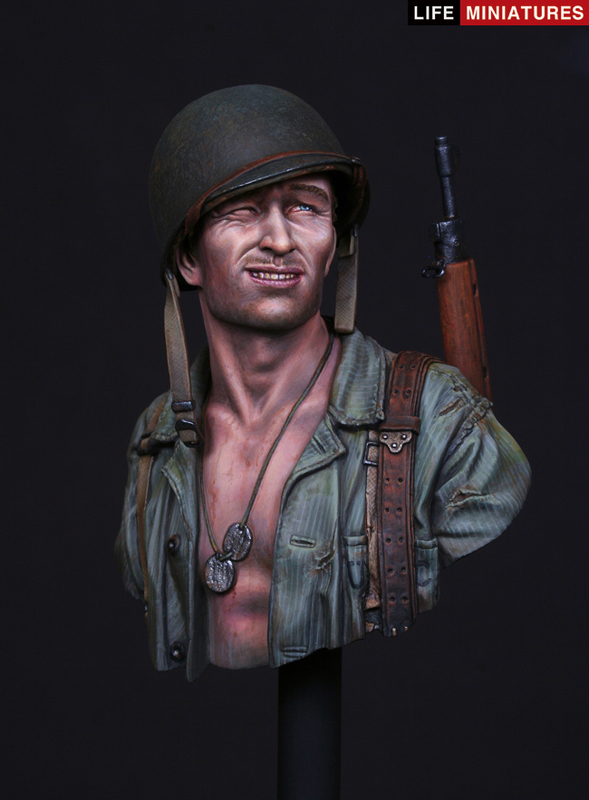 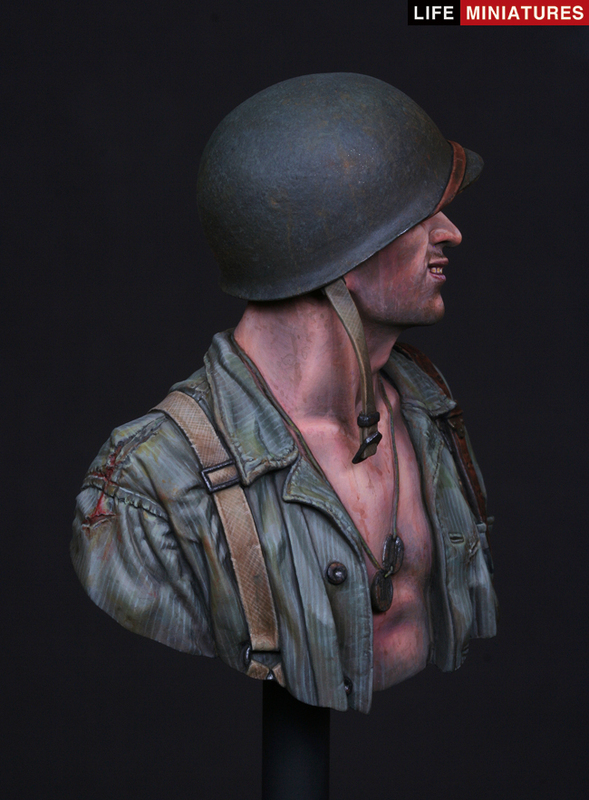 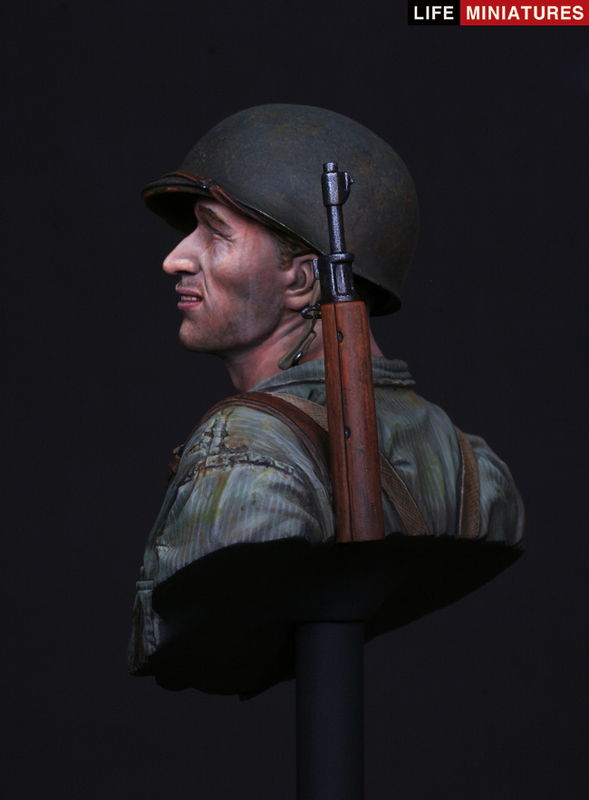 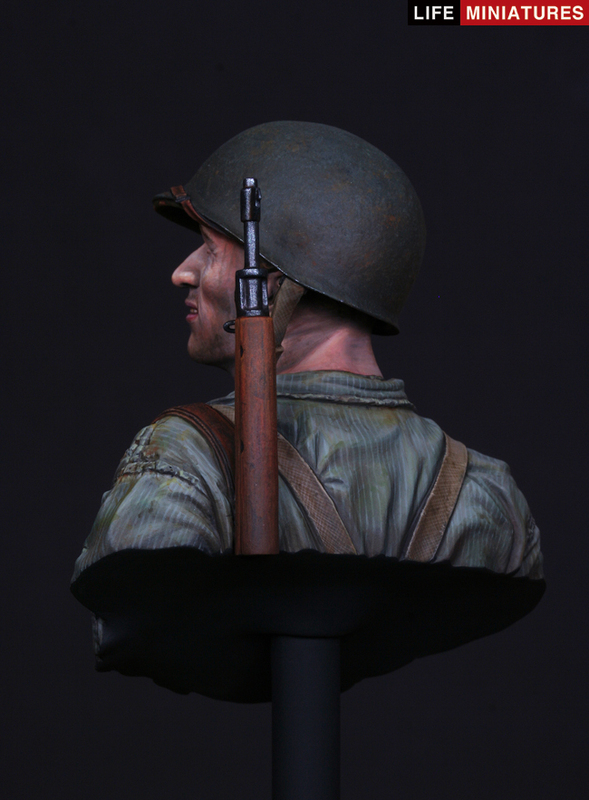 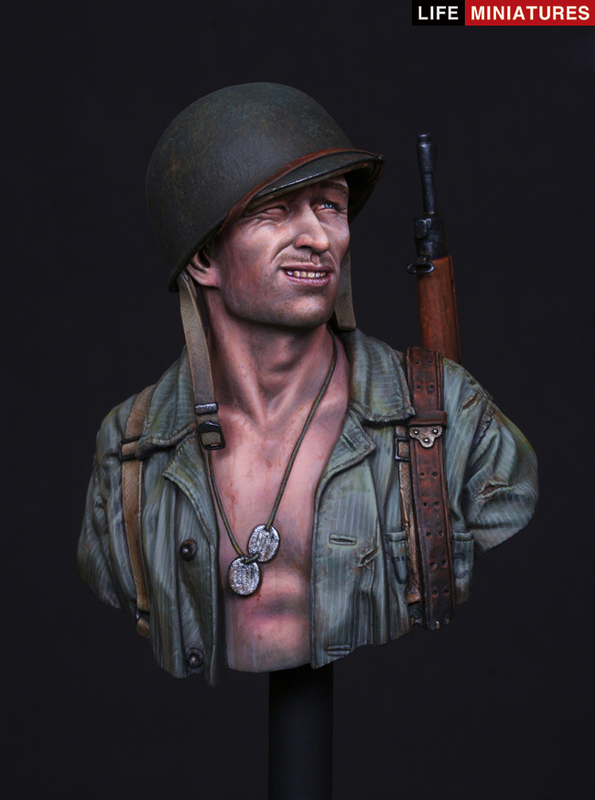 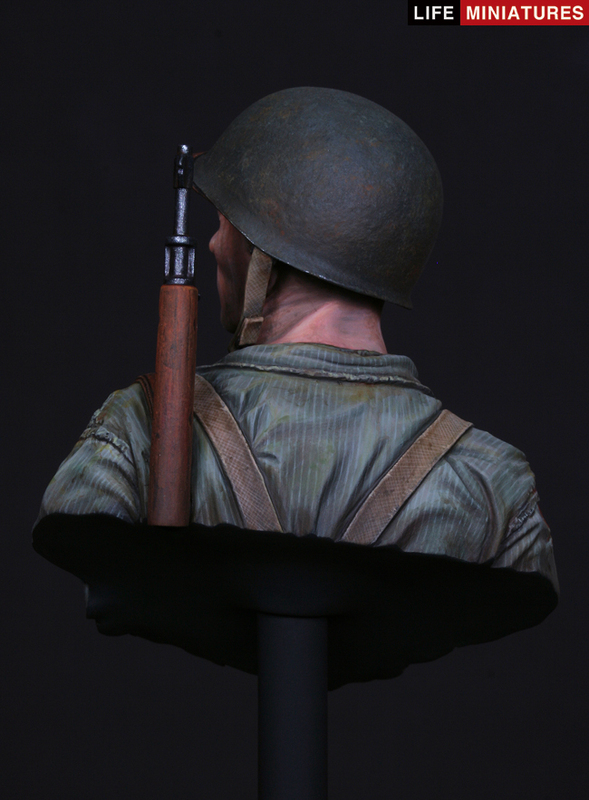 Probably nothing to you but this reminds me of a famous photograph of a marine on the island at that time – though this soldier looks a lot better for wear whereas the figure of this bust is unshaven, unbuttoned and unwashed. 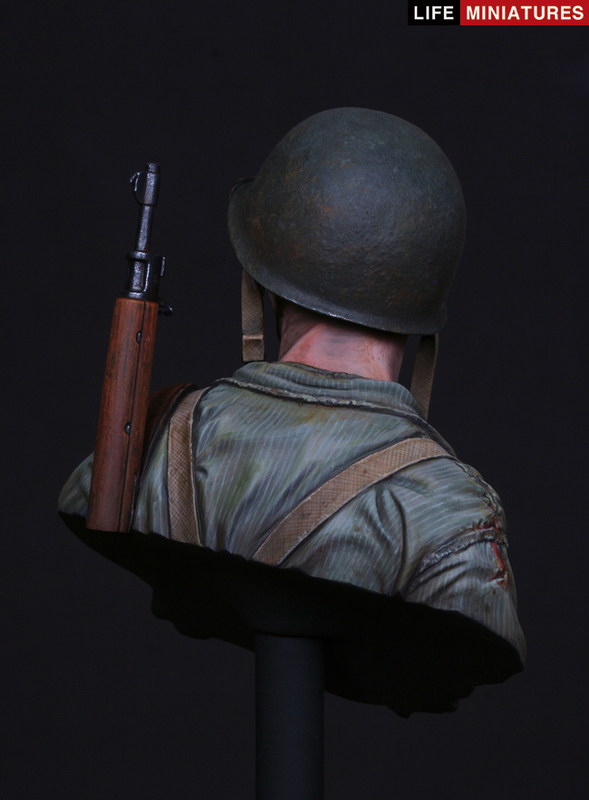 Sculpted and Painted by Sang-Eon Lee this figure shows some really nice elements of a master at his work, in the sculpting the fine lines in the Marines clothing to the texture on the M1 Helmet and the Springfield rifle he carries, not to mention the natural look as he squints off into the distance – this figure looks like it will be a model maker’s favourite just like his other pieces.